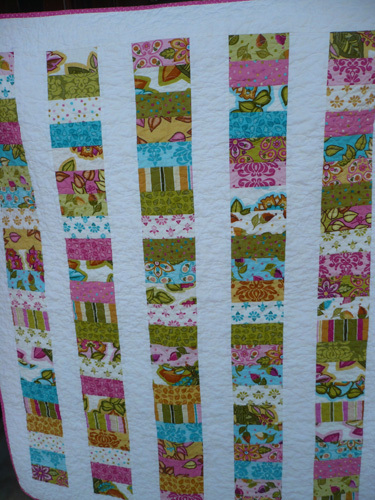 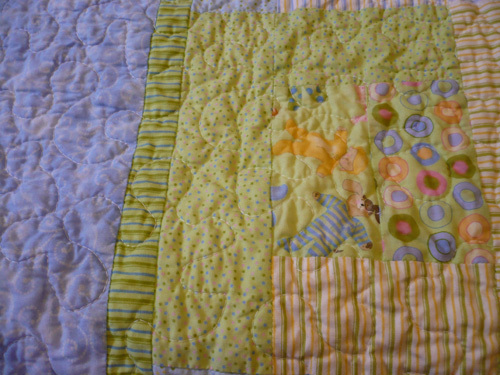 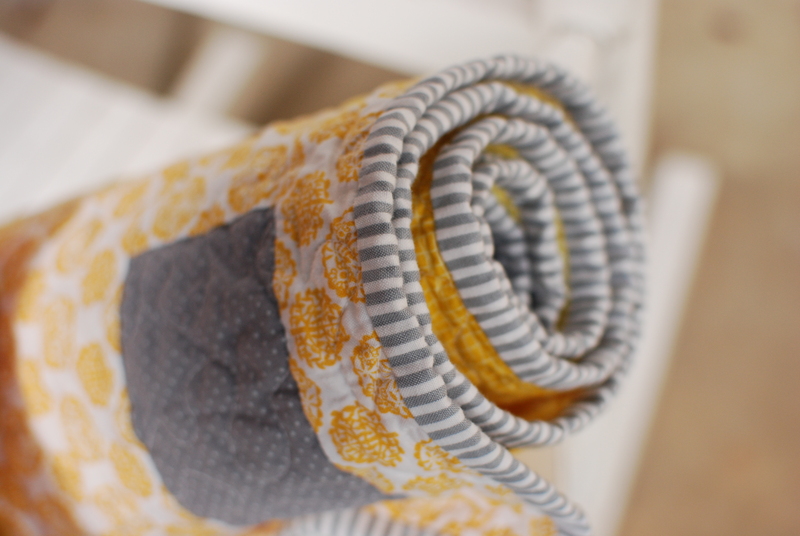 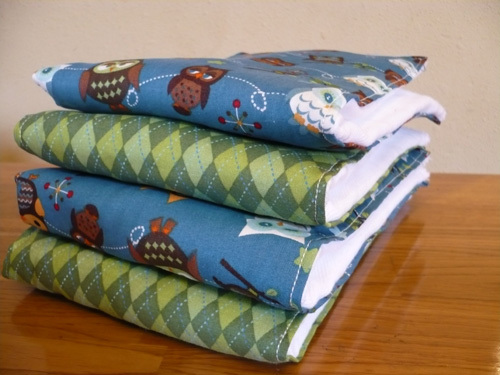 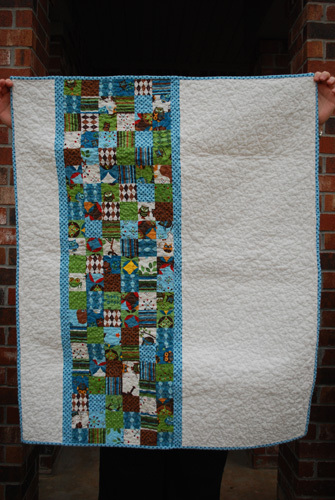 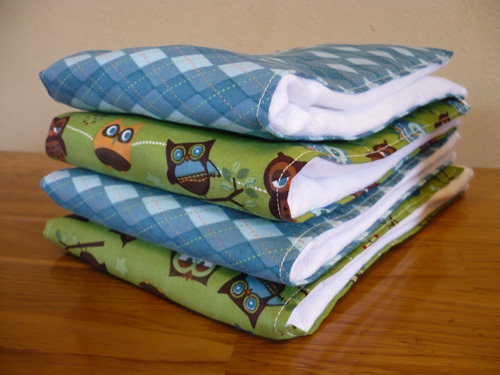 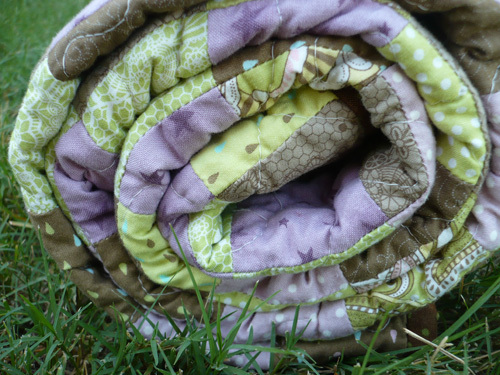 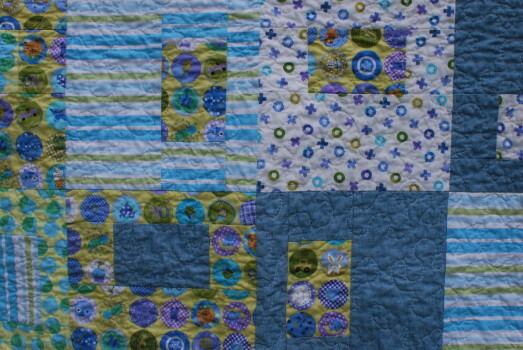 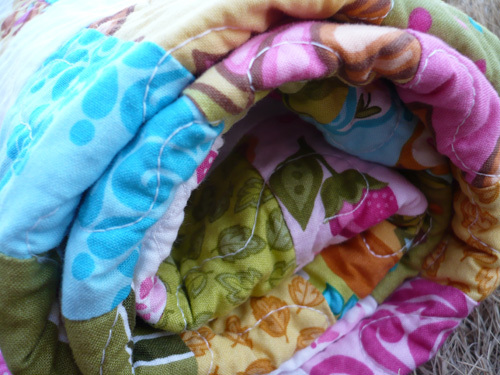 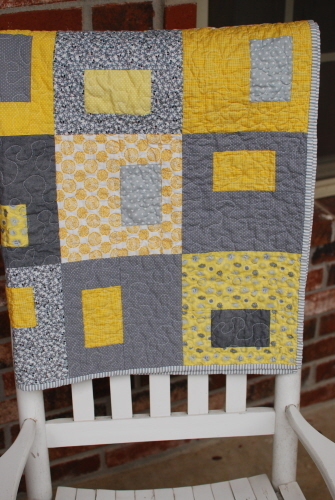 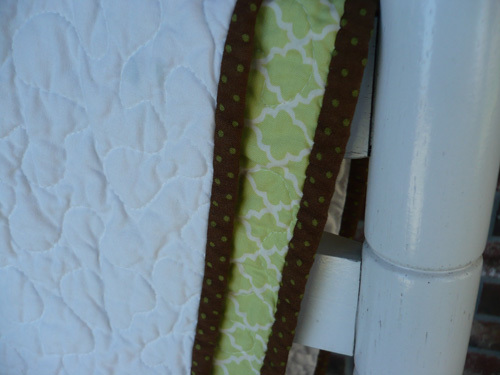 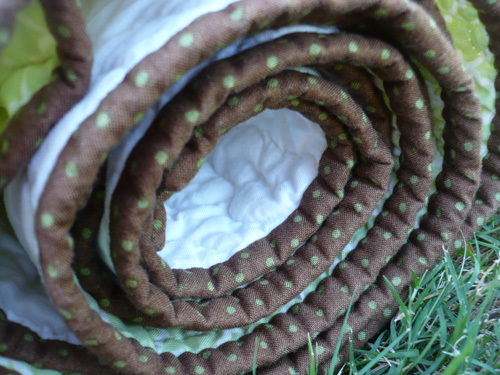 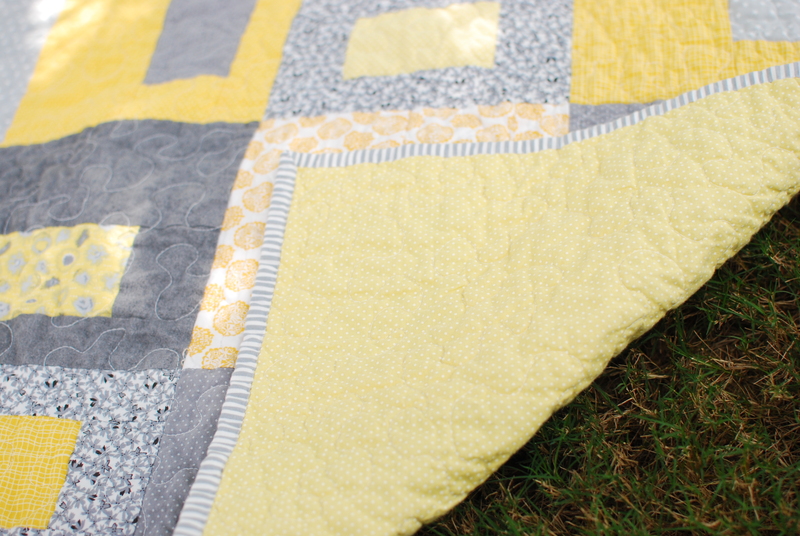 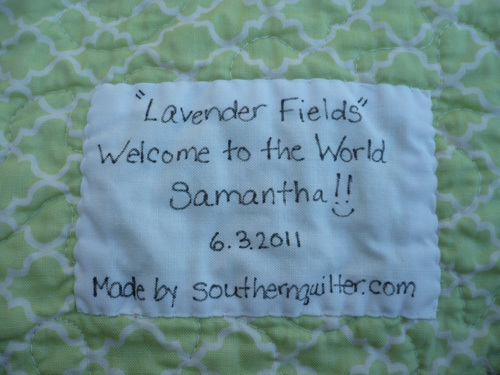 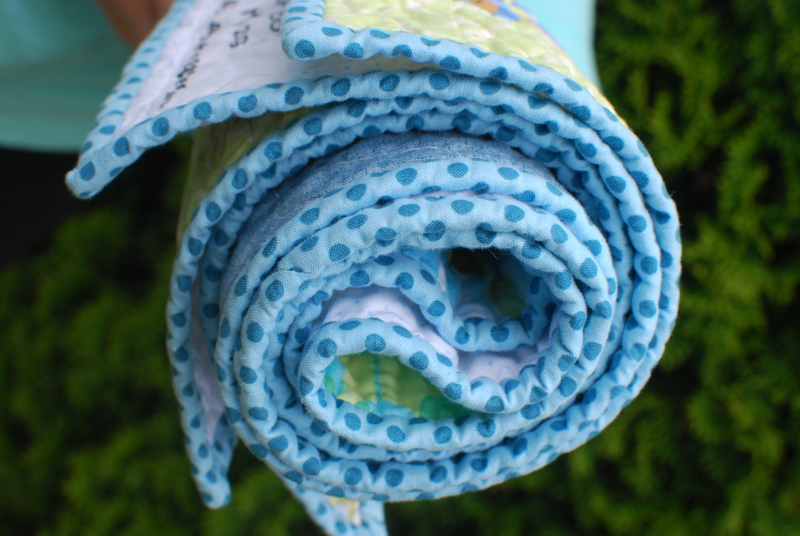 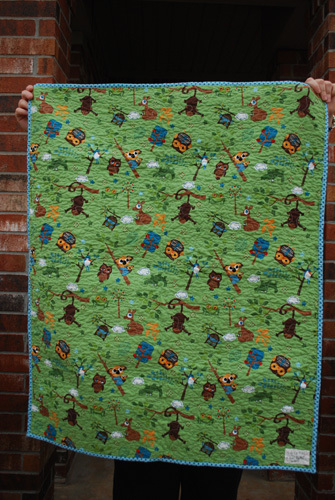 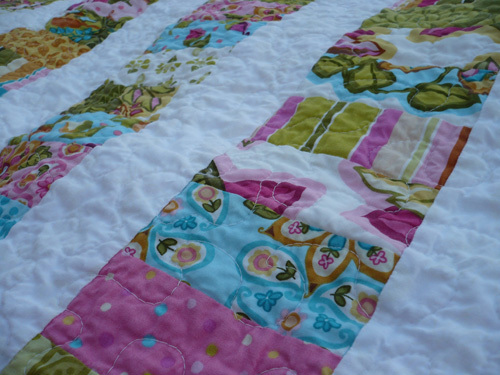 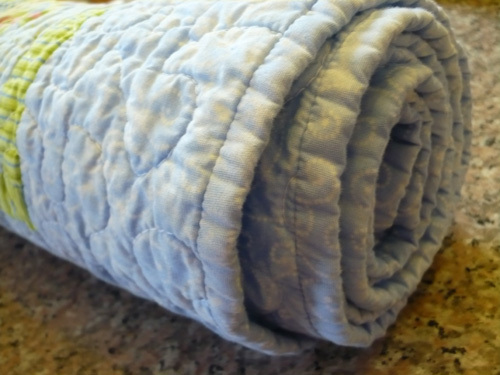 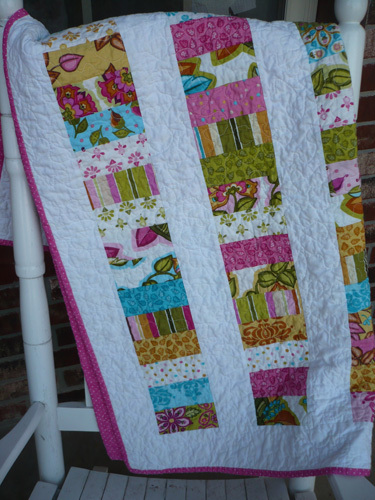 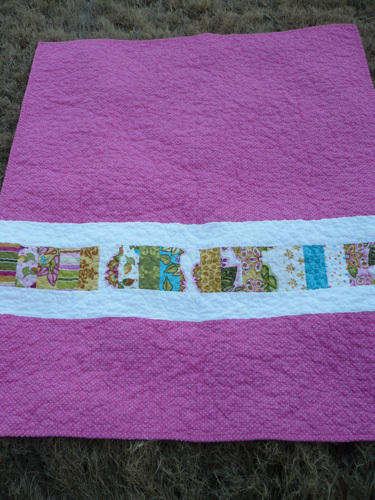 Oh how I love baby quilts! 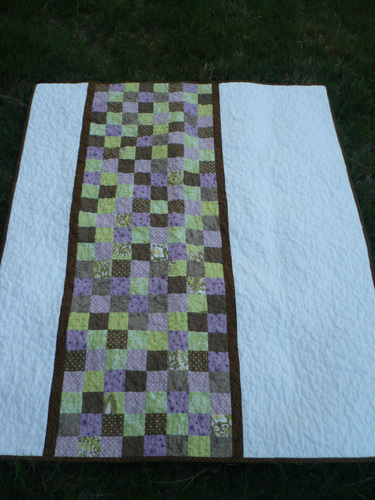 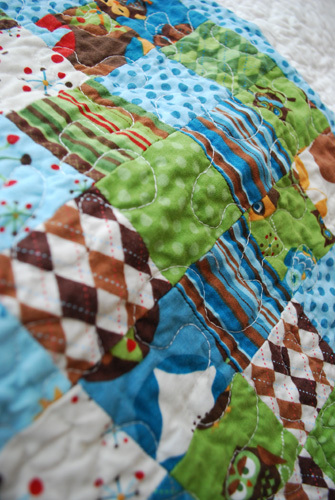 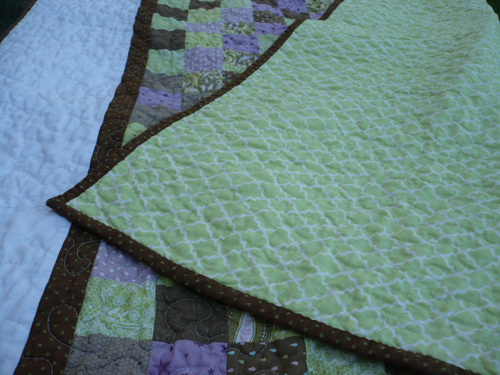 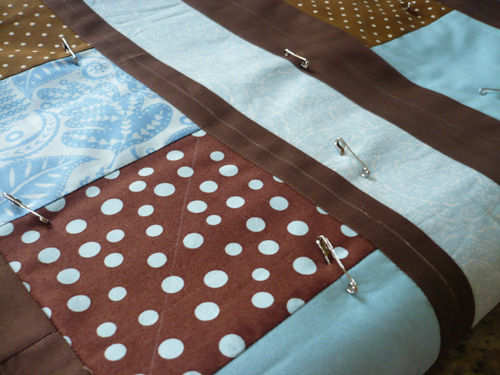 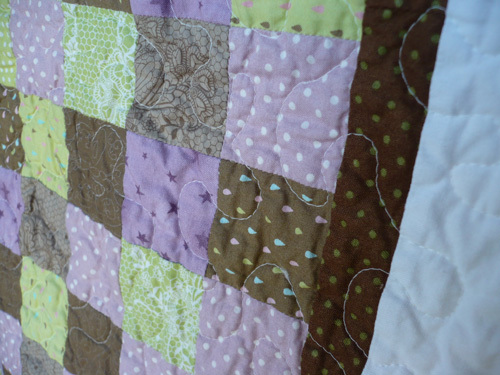 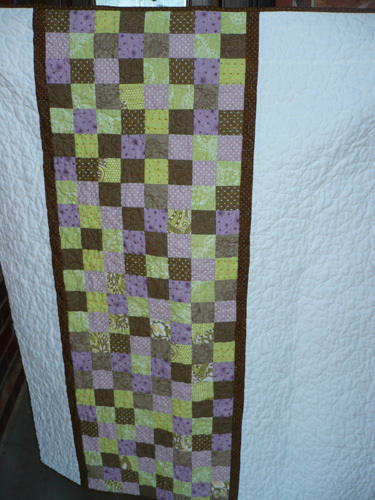 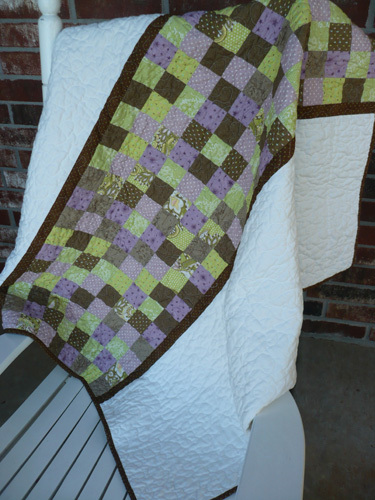 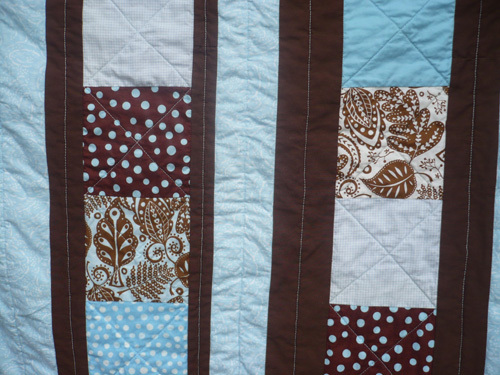 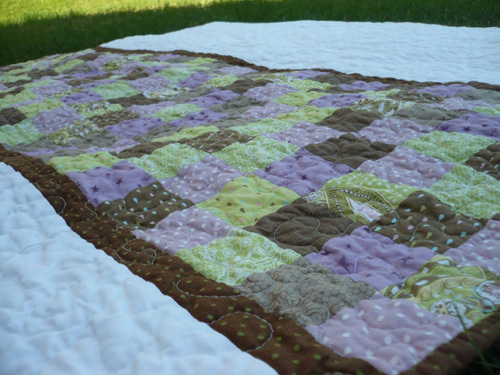 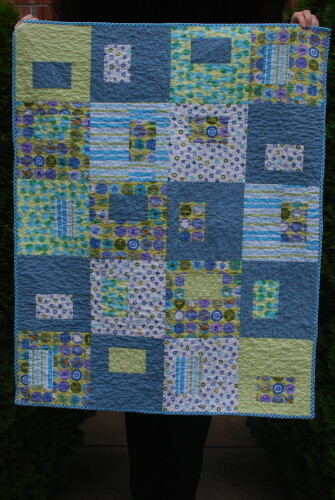 They are so satisfying…the piecing is generally pretty quick, and then you can have a quilt completely done in record time. 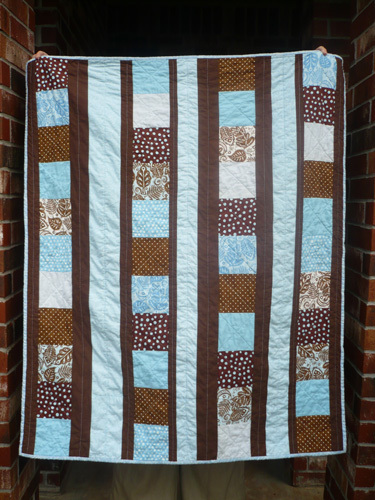 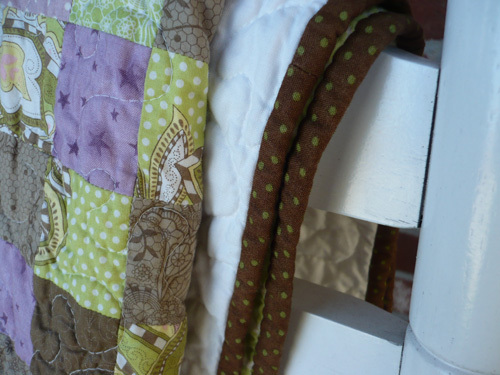 I’ve had Sleepytime jelly roll by Lori Gardner for Moda for quite some time. 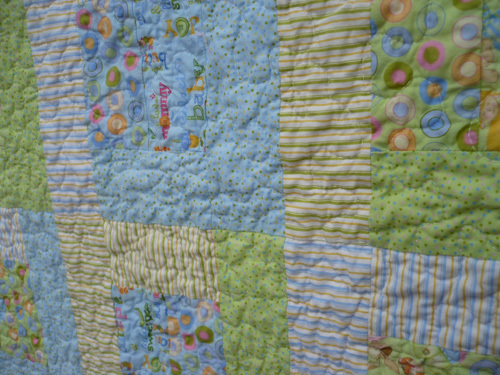 It’s pretty much all pastel colors, and I don’t generally work with pastels (hence it’s been sitting in a drawer waiting to get used). 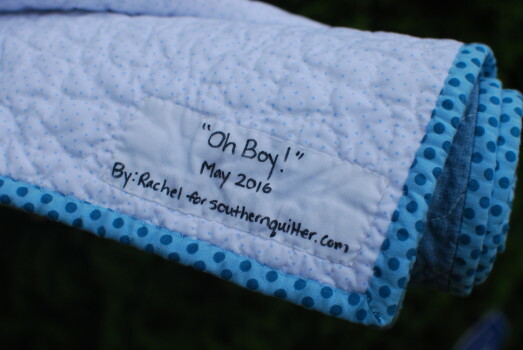 Since this quilt will find its way to someone the hubby works with, I let the hubby have a bit more say in fabric selection than I usually do (read: the hubby has no say 😉 ), and he chose the pastels. 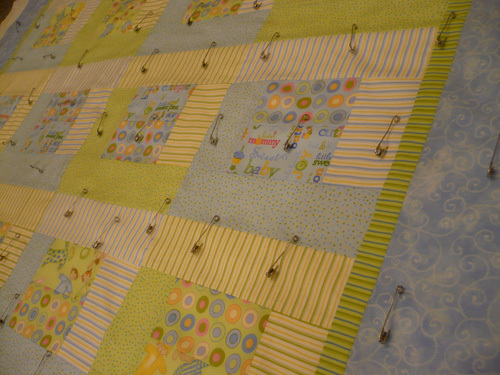 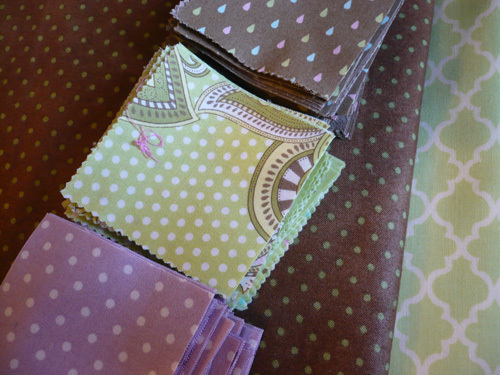 I started this quilt Sunday afternoon, and finished hand stitching the binding on Monday afternoon. 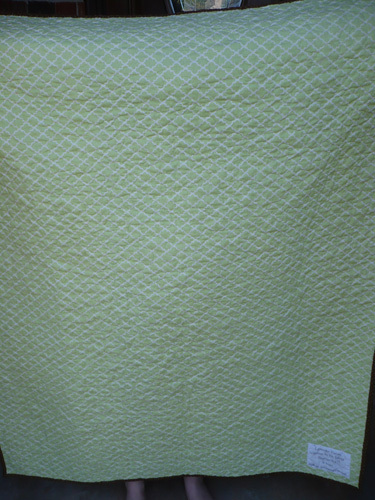 The quilt’s post wash measurement is 31.5 x 38.5. 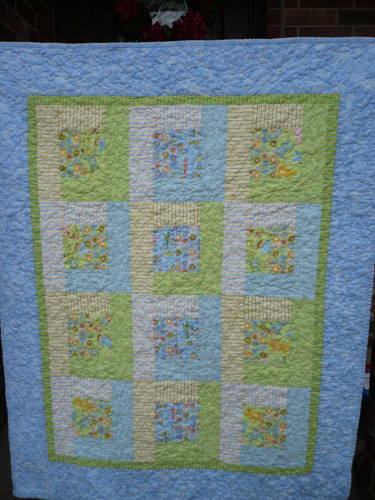 A few weeks ago I finished up the Baby Blues quilt for my good friend. 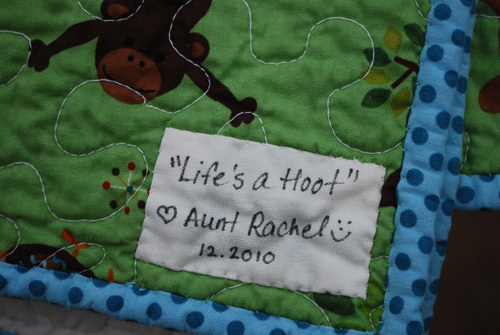 We went to their house for dinner and she opened here present and loved it! 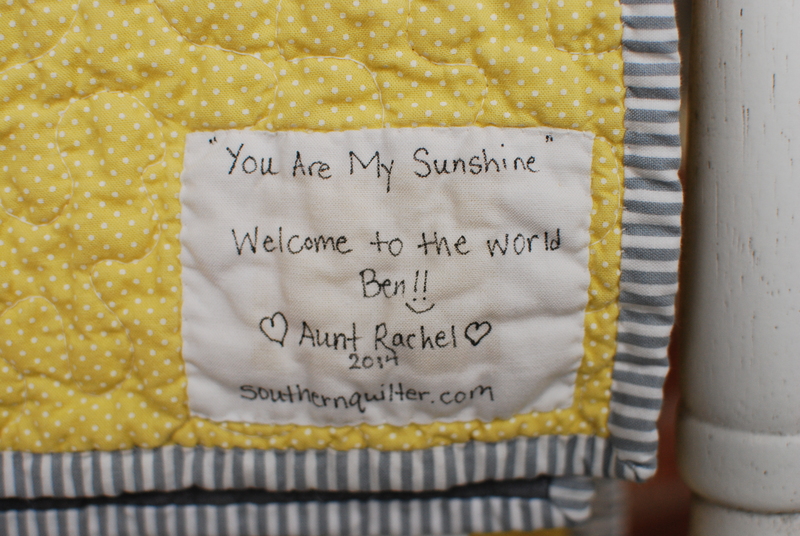 Yay…always a good feeling!!! 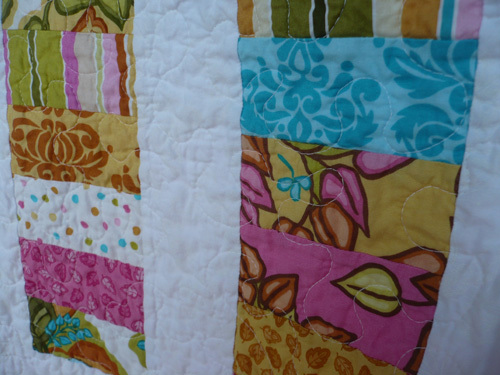 I love the colors, and I really liked how it turned out. 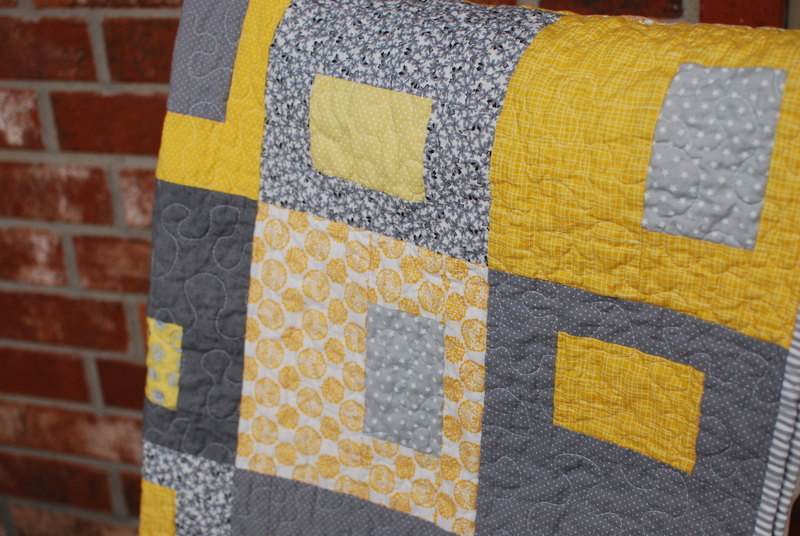 I marked this quilt for straight line quilting, and I have to honestly say that I’m not sold on marking my quilts prior to quilting. 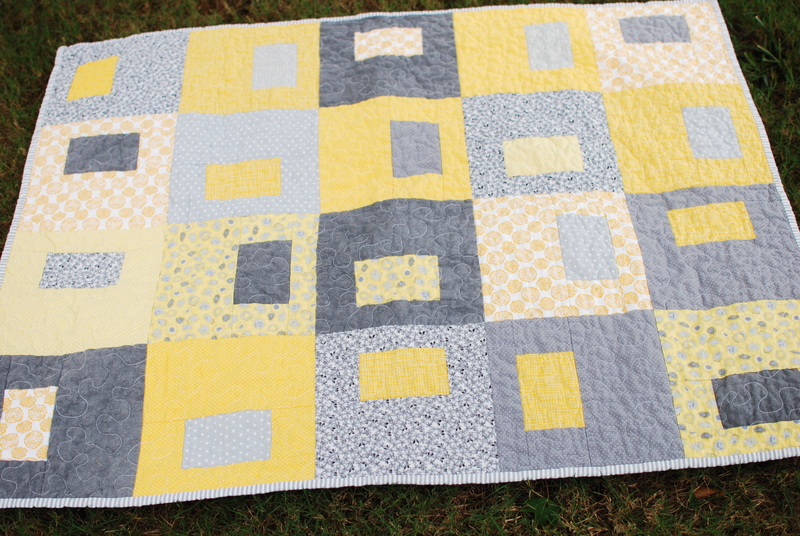 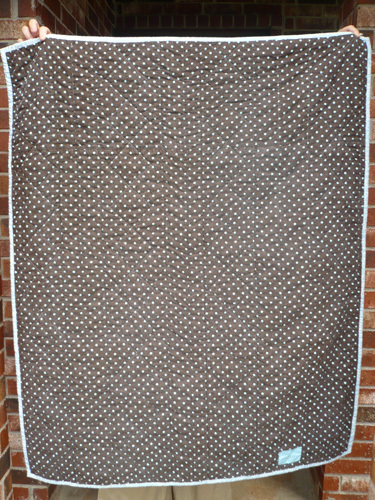 I also used flannel for the backing, and while it is soft and cozy I’m not sold on it either. 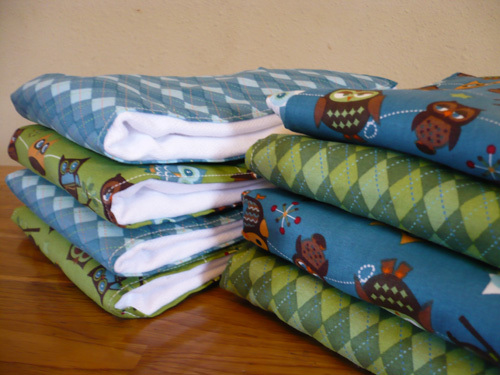 If you use flannel, PREWASH it!!! 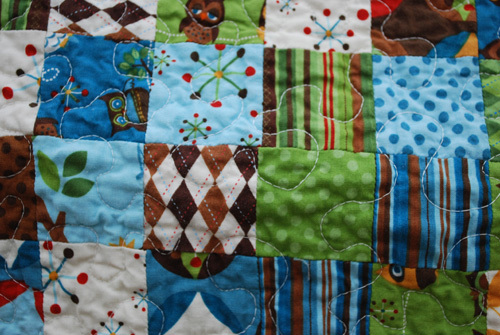 Even if you don’t prewash your fabrics, ALWAYS prewash your flannel. 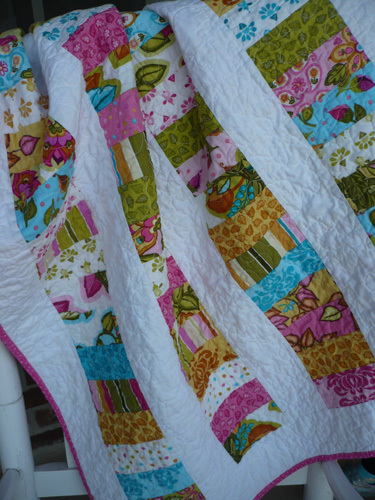 Flannel shrinks so much more than regular quilting fabric, and the weave is bigger. 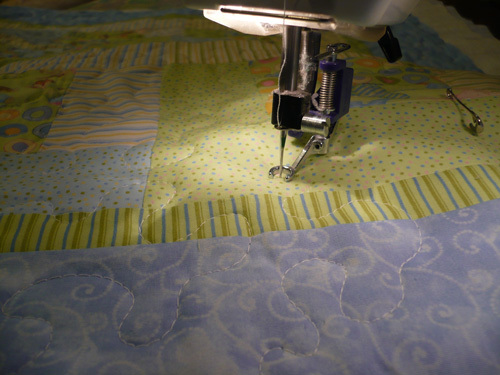 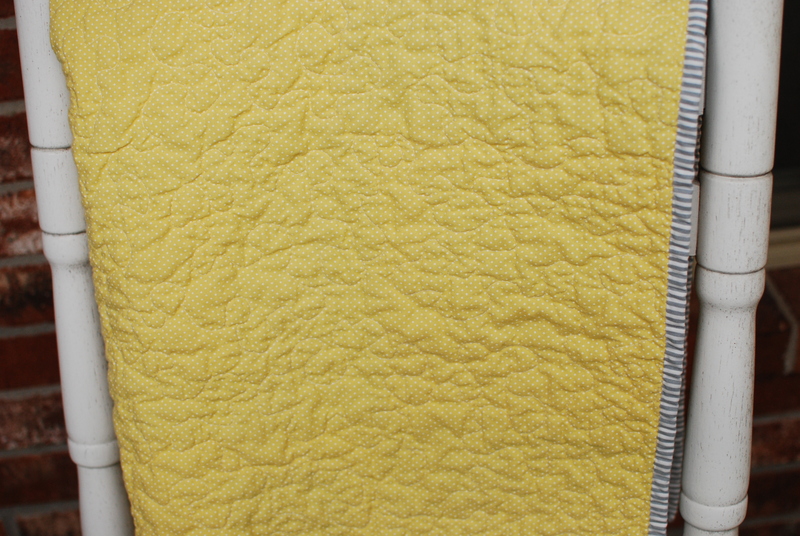 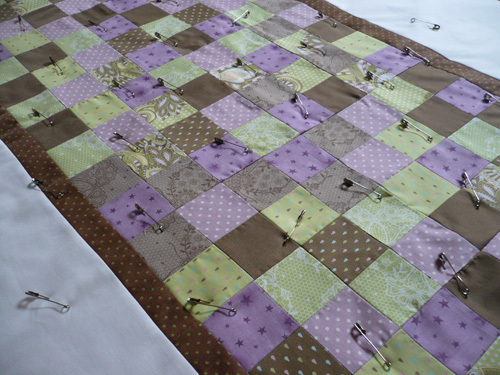 Once you wash it and it shrinks, it shrinks the weave, which makes the quilting stitches much more secure.